California’s premier provider of power, electrical, & control systems engineering. 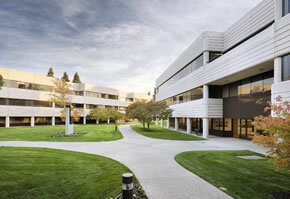 After 26 years in Oakland, we have moved to San Ramon! Our email addresses and main phone number have remained the same. Please see contact page for the new address location. Since 1989 Damatt Engineering, Inc. has provided high quality industrial power, electrical and control systems engineering, programming, and design services. What sets us apart from the competition is our ability to fully integrate an industrial facility from the ground-up. From design to start up support, Damatt Engineering provides services throughout every phase of your project. We are a true full service consulting provider of power, electrical, & control systems engineering – and we readily intermix the aforementioned seamlessly, as needed, from project to project. Project Services Damatt provides management and engineering services for project design and construction support. We can quickly assemble a project team consisting of Damatt engineers and pre-qualified professional sub consultants. Our project managers and engineers have the necessary design, construction support and startup experience to make your project a success. Our project services include initial project planning, project management services, engineered construction bid packages, integration, and field services. Engineering Damatt provides complete electrical engineering services related to the design, simulation, operation, control, optimization, and automation of industrial power systems, with major project experience in power distribution and substation systems. These services include power system fault, load flow, and equipment sizing studies, procurement specifications for long lead time items, detailed construction documents, relay coordination studies, as well as start-up and commissioning engineering. Integration Damatt provides a full range of electrical engineering services for instrumentation and control systems design, checkout and startup. Capabilities include the implementation of advanced control strategies and algorithms using programmable automation controllers, programmable logic controllers, single loop controllers, distributed control systems, human-machine interfaces, supervisory control and data acquisition systems or combinations thereof. Copyright © 2016 Damatt Engineering, Inc.